I'm pleased to be partnering with Chicken Soup for the Soul for 7 days of giveaways. Each day, you'll have a chance to win a great Chicken Soup for the Soul product! Giveaways are open to US residents only. 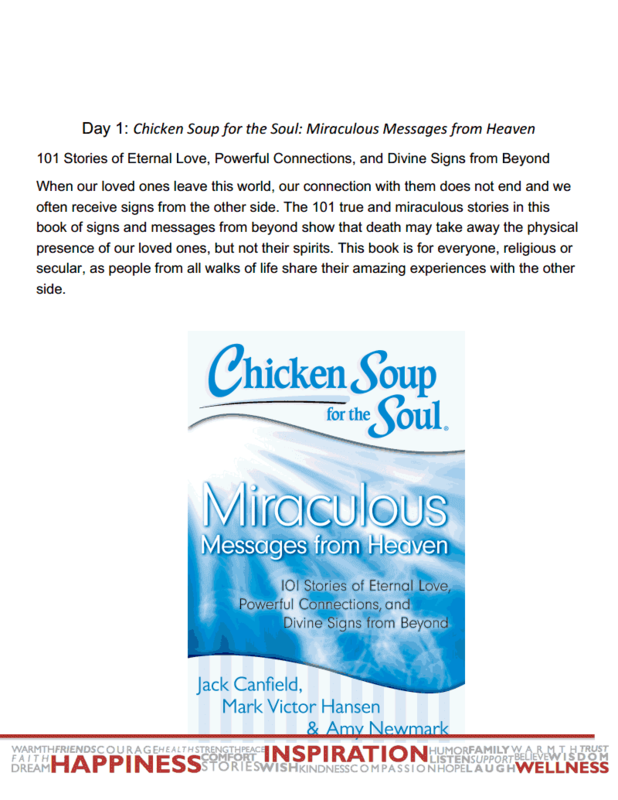 Today's giveaway is a copy of Chicken Soup for the Soul: Miraculous Messages from Heaven. To enter, please just fill out the form below by December 20, 2013!